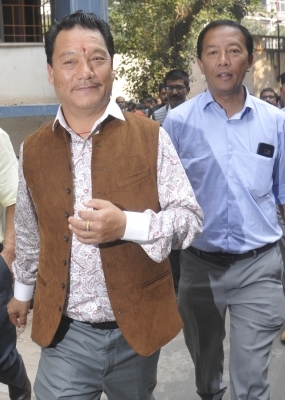 In yet another blow to Gorkha Janmukti Morcha (GJM) leadership, a district court in West Bengal on Wednesday issued arrest warrant against eight of its leaders including party chief Bimal Gurung. Other than Gurung, the warrants were issued against his wife Asha Gurung, GJM General Secretary Roshan Giri, party’s youth wing head Prakash Gurung and Chief Convenor of the Gorkhaland Movement Coordination Committee Kalyan Dewan. The others GJM leaders against whom arrest warrants were issued are Amrit Yonzon and Tilak Roka. “The warrants have been issued by Chief Judicial Magistrate Darjeeling on the prayer moved by the CID on Tuesday. The Court wanted to have a hearing in the day and the warrants were issued,” Special Superintendent of Police, North, CID, Ajay Prasad. 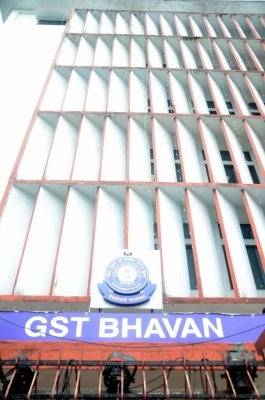 He also said the warrants were issued in connection with a case lodged at Darjeeling Sadar Police station on June 8. Last week, the CID had issued look out notice against Gurung and other GJM leaders. The warrant against GJM leaders came at a time when the controversies erupted following a West Bengal Police raid attempt to arrest top GJM leaders in Sikkim’s Namchi and Sikkim Police asked their counterparts to produce arrest warrants. Violence had erupted in Darjeeling hills on June 8, when Chief Minister Mamata Banerjee held a cabinet meeting in the hill town. Several police personnel were injured and army was deployed on June 8 to control the situation.